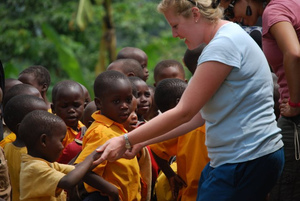 As a volunteer in Uganda, you will have the opportunity to make a lasting impact in the district of Bududa! FIMRC's Health Center III serves as home base for all volunteers where you will work alongside our clinic team during daily operations and assist with innovative public health and community outreach initatives. Our program is open to volunteers of all ages and educational or professional backgrounds. As our sites are open year-round, volunteers are welcome to travel at any time and for any length of time, though we recommend a minimum of two weeks. We accept volunteers traveling individually as well as groups of various sizes. Over the course of your trip you'll receive an unfiltered experience in health care field work abroad, and learn about the tremendous impact that even one person can have. At our end, so as to maximize your contribution, we will tailor your experience based on current needs, your interests, training, and amount of time that you spend with us on-site in Bududa. All volunteers will find a wealth of opportunities to make a difference! You will have the opportunity to participate in both the clinical and health education aspects of operations on-site, and activities can range from working alongside clinic staff to conducting home visits with our Community Health Educators! Volunteers maintain important roles at our clinic through assisting with patient intake and management, taking patient vitals, assisting with drug dispensing, and conducting laboratory testing. Volunteers may also have the opportunity to visit additional health facilities or participate in weekly mobile clinics with our supervising clinic doctor. Community health outreach volunteer opportunities include: attending home visit follow-up care for HIV-positive clients, assisting with community outreaches conducted twice a month by our Community Health Educators (CHEs), attending home-based meetings for one of our seven community health groups, assisting with the planning of special public health events, such as World Malaria Day, World AIDS Day, or clinic programs. The nature of a volunteer mission to Uganda will vary depending on the number of volunteers in each group, the length of the volunteer trip, respective proficiencies in the local language, medical expertise, and the current needs of the community and the clinic upon arrival. Please note that a volunteer’s level of training will determine the extent of involvement in medical activities. Your experience varies depending on these factors, but what we can guarantee is that every volunteer mission will be culturally and socially enlightening. Every volunteer will have opportunities to examine Uganda’s systems of medical provision and contribute to ongoing operations at Project Bududa. Want to hear from our former volunteers? 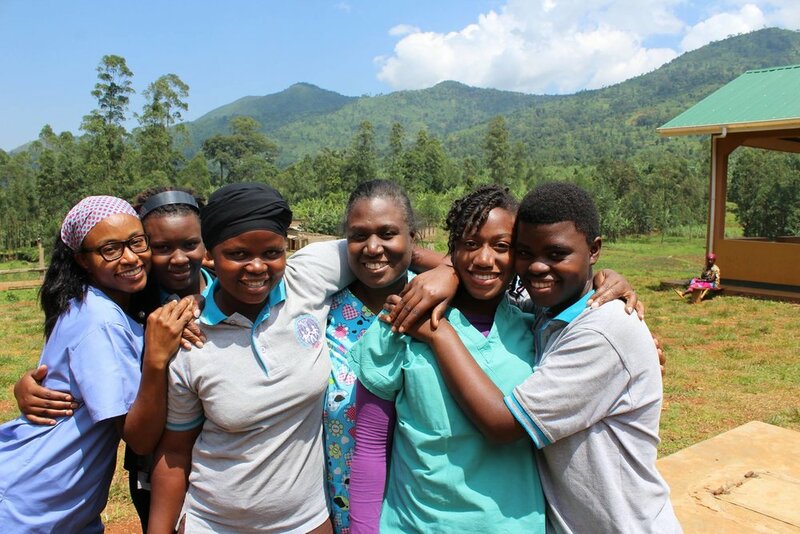 Click here for a first hand look at Project Bududa through the video series, Khu Wona, filmed by a former FIMRC ambassador. Also, check out our testimonials page to hear more about the FIMRC experience! The following is a sample itinerary for one week in Project Bududa. This itinerary has been made to provide a clear, general impression of the way volunteer time is spent. Please note, however, that in order to ensure that a volunteer's work has the greatest, most relevant impact on clinic and community, volunteer schedules are established upon a volunteer's arrival at the clinic. Volunteers in Bududa will stay together in FIMRC’s Volunteer Guesthouse, or, in the case of high volunteer volume, at our partner guesthouse. FIMRC’s Guesthouse is about a 30 minute walk from the clinic and houses several FIMRC staff members as well as up to 19 volunteers. Beds and mosquito nets are also provided, and weekly laundry service is available. It is important to understand that plumbing may not be readily accessible in this remote, rural village. Outhouses are located on both grounds, and volunteers will be provided water and a bathing shelter in which to take “bucket baths.” Should volunteers wish to have an actual shower, they could bring a Sun Shower, which is filled and heated by the sun, hung and used like a regular shower. These can be purchased at many camping stores. All airport transportation to and from the project site is provided by a reputable hired driver with whom FIMRC has been working since the inception of Project Bududa. Volunteers are met at the airport upon arrival by the driver. Depending on the time of arrival, volunteers may stay the night in a hotel in Entebbe or may travel to Bushika the same day. Total transport time between the airport and site is between six and seven hours. FIMRC provides return transportation to the airport at the end of the trip. Daily transportation is not a necessity as the volunteer housing quarters are located within walking distance of the volunteering site. However, transportation can be made available for side visits to communities or towns further away. Availability of health care in Uganda is restricted to major cities, but demand is high and it can be expensive. While doctors and dentists are available throughout many areas of the country, the major hospitals are located in the main cities. FIMRC’s Clinic is a primary care facility. Breakfast and dinner are provided at the Volunteer Guesthouse daily. Morning tea and lunch are served on weekdays. Meals are locally influenced and are generally heavy in starches and vegetables. This cost includes the program donation that supports our project sites as well as housing, food, & transportation. Transportation includes airport pick up/drop off, lodging is within the volunteer guest house and three meals a day at the project site are included for the duration of the volunteer's stay. Excursions and trips for non-volunteer related activity as well as the associated costs are the responsibility of the volunteer. All volunteers are responsible for arranging and purchasing their own flights and must fly in and out of Entebbe International Airport (code EBB). It is the volunteer’s responsibility to arrange all flights in accordance with the dates for which you have registered. If you are traveling with a group, please coordinate with your fellow group members to ensure that you arrive and depart together. Travel time between the airport and project site is approximately 6 hours. A late flight arrival and/or early departing flight may result in an overnight stay in Entebbe, which is covered by the program fee paid to FIMRC. Passport - US citizens can enter Uganda with a valid passport. Volunteers who do not hold a US passport must check with their respective embassies for information on travel eligibility. Volunteers are responsible for obtaining or renewing their passports and ensuring that all travel documents are in order. Visa - US passport holders MUST obtain a visa in order to travel. Non-US passport holders should check with their respective embassies for current visa requirements and regulations. Volunteers are responsible for ensuring that they are legally eligible to travel abroad. A U.S. passport, valid for at least six months from the date of departure, containing at least two blank pages, is necessary. Effective July 1, 2016, tourist visas should be obtained prior to arrival at the Entebbe Airport. All visa applications must be completed via the Government of Uganda's website. Under the new process, you must apply online at least two weeks prior to travel. Application Link: https://visas.immigration.go.ug. The cost for a single entry tourist visa is $50. A certificate of yellow fever vaccination is required to travel to Uganda. All visitors should take malaria prophylactic drugs. Recommended malaria drugs include doxycycline, malarone, and lariam. It is also advised that all travelers be vaccinated against meningitis, Typhoid and Hepatitis A & B. Please remember to bring sufficient personal medications, if needed, for the entirety of your time away from home.